Once the Christmas holidays are over, the dog days of winter start to set in. A holiday is always a good way to break up the doldrums of a grey winter and Valentine’s Day is always equal to the task. Valentine’s Day and chocolates go together like Easter and decorated eggs, Independence Day and picnics or Thanksgiving and turkey dinners. One of the best things about February is Valentine’s Day and one of the best things about Valentine’s Day is chocolate. On February 11, the Kennett Chocolate Lovers Festival will be held from 1-3 at Kennett Area High School (100 E. South Street, Kennett Square, http://kennettchocolate.org). Contestants will vie for awards in the following categories: professionals, amateurs and students (ages 12 up). 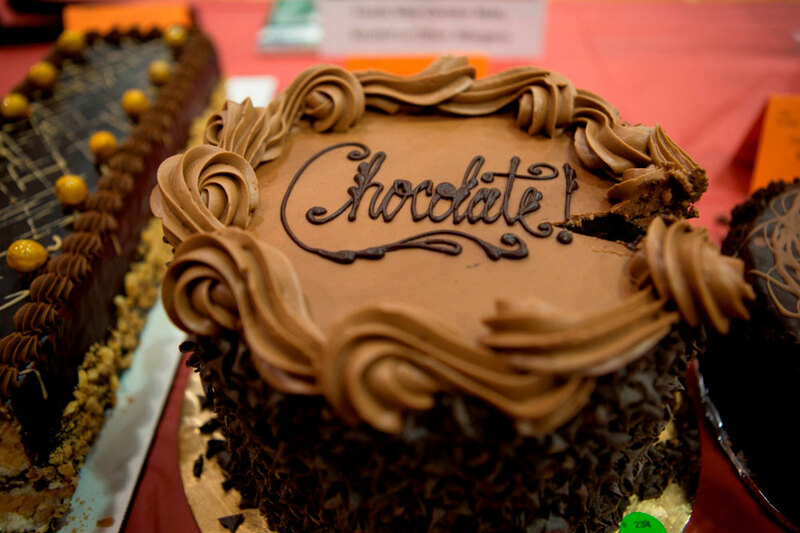 Last year over 200 entries were available for tasting by the public and the smell of chocolate permeated the air. Connoisseur tickets are priced at $25 ($45 for two people – online purchase only), includes early timed entry at noon. General admission from 1-3 p.m. is $10 ($30 for family of four – online purchase only) and includes six regular tastings per person. A new attraction this year is “Kiddie Korner” featuring cookie decorating, crafts and fun photos with characters. On February 10 from 11 a.m.-4 p.m., Hagley Museum and Library (Route 141, Wilmington, Delaware, 302-658-2400, www.hagley.org) will host its 2018 edition of “Victorine’s Valentine Day”. Victorine was the eldest daughter of E. I. du Pont, who built the mills on the Brandywine. She fell in love with Ferdinand Bauduy, the son of E. I.’s business partner. E. I. opposed the marriage, believing the couple was too young to be married. Tragically, eleven weeks after their marriage, Ferdinand became ill and passed away. Victorine was heartbroken, but after a long period of grief, she found a new passion in her life. Victorine threw herself into teaching at the Brandywine Manufacturers’ Sunday School. She remained the superintendent until her death in 1861. Admission to Hagley Museum is $15 for adults, $11 for seniors and $6 for children (ages 6-14). 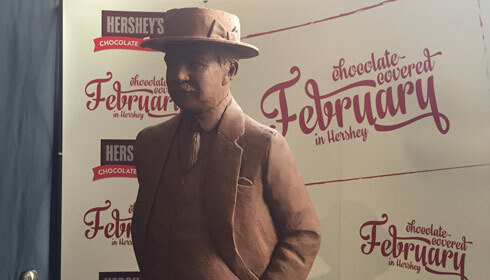 Valentine’s Day is just a few days away and wine-loving chocoholics are celebrating – now and for the rest of the month of February. The event will feature a walking wine-and-chocolate tour of Chaddsford Winery. Visitors can explore several areas of the historic property as they visit five stations featuring artisan chocolates carefully paired with our award-winning wines. The “Wine & Chocolate Pairing” line-up, which features gourmet chocolates by Éclat Chocolate, includes Dark Salted Caramel with 2015 Proprietors Reserve Red, Vanilla Crème with 2015 Harbinger, Lavender Chocolate with Sunset Blush, Gingerbread Ganache with 2015 Barrel Select Chardonnay and Chaddsford Cocoa made with Chaddsford Red. The schedule of live entertainment features Sam Capolongo (February 10), The Road Tapes (February 11), Acoustic Keys (February 17), Christine Kinslow (February 18), and Trevon Raines (February 25). In addition to its regular tastings, the winery is offering special tastings to celebrate is the month of wine, chocolate, romance and fun. Penns Wood is adding new and exciting items to its wine and chocolate pairings this year! Featuring five of its wines carefully paired with local chocolate treats. The newest Field Blend Red was released on February 3 and is included in the Wine and Chocolate pairings. It will also be available by the glass and bottle. 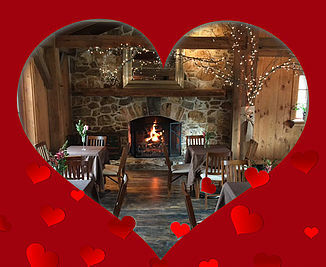 Kreuz Creek Vineyards (553 South Guernsey Road, West Grove, 610-869-4412, www.kreutzcreekvineyards.com) will present “Valentine in the Vineyard” on February 10 and 17. On February 10, visitors can enjoy chocolate fondue made with Bevan’s dark chocolate and the winery’s Ruby “K” Port. Max and Denise will be playing pop music from the 60’s to current times from 2-5 p.m. Bring your Sweetie! There is no charge. There is no charge to enjoy the event either day. Black Walnut Winery (3000 Lincoln Highway, Sadsburyville, 610-857-5566, www.blackwalnutwinery.com) will have “February Wine and Chocolate Pairings” on February 10,11, 17, 18, 24 and 25. Cost is $2 per person and includes a Black Walnut logo wine glass. Guests can choose to upgrade their pairing to include a Port tasting as well (two port style wines) for $30 per person. The evening includes a romantic dinner for two at Galer Estate Vineyard and Winery featuring gourmet food from Talula’s Table. Each course will be paired with Galer Estate wines — including an exclusive tasting of the Double Gold Cabernet Franc. There will be one seating at 7 p.m. in the Red Lion Tasting Room with tickets priced at $240 per couple. The menu features Pear & Walnut Salad with Rosemary Vinaigrette and Baby Baguette paired with Galer Estate’s Grüner Veltliner, Maine Lobster Bisque paired with Galer Estate’s Red Lion Vineyard Chardonnay, Glazed Beef Short Ribs, Kennett Mushrooms and Potato Gratin paired with Galer Estate’s Cabernet Franc; Dark Chocolate Mousse Parfait and French Macarons paired with Galer Estate’s Huntress Red Blend. On February 10, Galer Winery will host a performance by Chester County’s Nicole Zell from 507 p.m. Zell is a multitalented musician – singer, songwriter, guitarist, keyboardist – who has a dual career going. She records and performs as a solo artist and also records and performs as part of the alternative pop trio Thrillchaser. 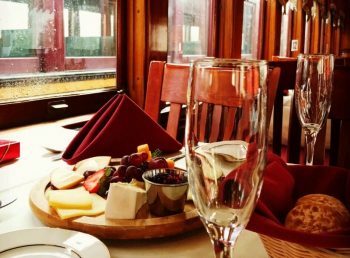 The New Hope & Ivyland Railroad (32 Bridge Street, New Hope, 215-862-2332, www.newhoperailroad.com) is getting into the spirit of Valentine’s Day with a “Valentine’s Brunch” on February 10 and 11 at 10 a.m. and 12:30 p.m.
Pierre’s chocolate truffles, coffee, tea and water. Tickets, which include all taxes are $109.99. 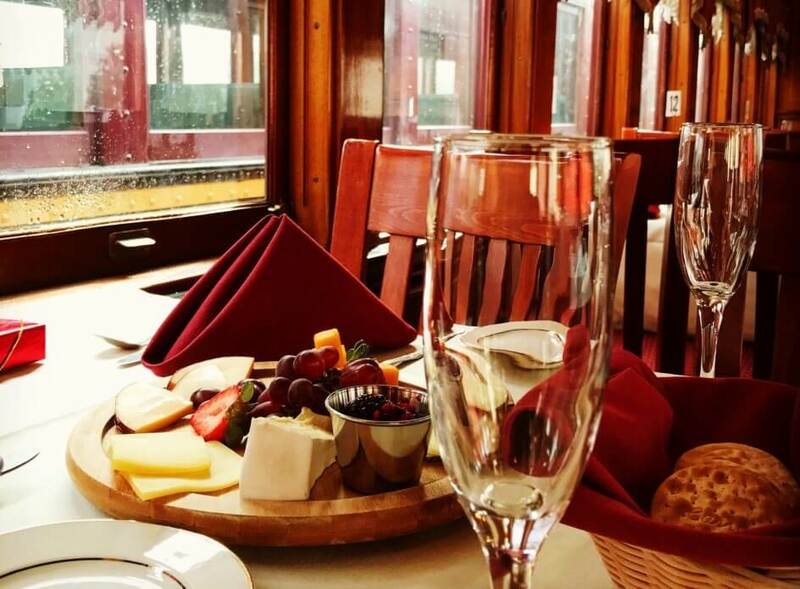 These special excursions will feature will feature a four-course meal served onboard the train, a 90-minute scenic train ride in First Class accommodations, a “Champagne Toast” for every guest (must be at least 21 years of age), a complimentary rose, a complimentary box of Pierre’s chocolate truffles, coffee, tea and water. Tickets, which include all taxes are $146.99. 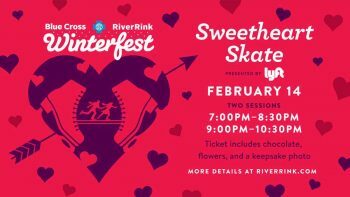 Chestnut Hill’s Visitor Center (Chestnut Hill Visitor’s Center, 16 East Highland Avenue, Philadelphia, 215-247-6696, chestnuthillpa.com) is hosting an event called “Valentine’s on Ice” on February 9. The celebration, which will run from 5-9 p.m. along Germantown Avenue in Chestnut Hill and at Laurel Hill Gardens (8125 Germantown Avenue), will feature ice carving, and complimentary treats and adult beverages at various warm-up fire pits along the avenue. Visitors also will be able to check out an interesting array of one-of-a-kind ice sculptures along Germantown Avenue. The show will be performed at the theater in the center of West Chester on February 9 in the evening and February 10 with matinee and evening performances. “Trial by Jury” is a comic opera in one act, with music by Arthur Sullivan and libretto by W. S. Gilbert. It was first produced in March 1875 at London’s Royalty Theatre, where it initially ran for 131 performances and received critical praise. The story concerns a “breach of promise of marriage” lawsuit in which the judge and legal system are the objects of lighthearted satire. Gilbert based the libretto of “Trial by Jury” on an operetta parody that he had written in 1868. The opera premiered more than three years after Gilbert and Sullivan’s only previous collaboration, “Thespis.” In the intervening years, both the author and composer were busy with separate projects. Beginning in 1873, Gilbert tried several times to get the opera produced before the impresario Richard D’Oyly Carte suggested that he collaborate on it with Sullivan. Sullivan was pleased with the piece and promptly wrote the music. 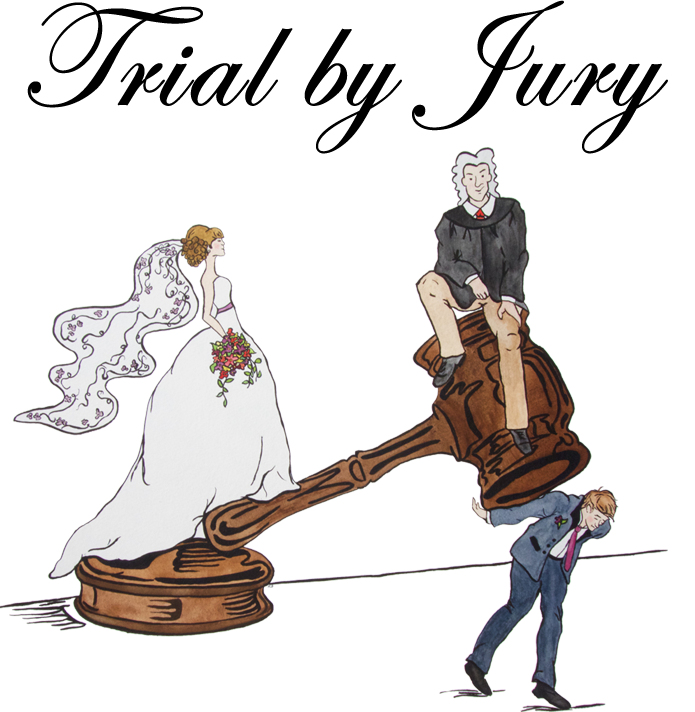 As with most Gilbert and Sullivan operas, the plot of “Trial by Jury” is ludicrous, but the characters behave as if the events were perfectly reasonable. This narrative technique blunts some of the pointed barbs aimed at hypocrisy, especially of those in authority, and the often-base motives of supposedly respectable people and institutions. These themes became favorites of Gilbert through the rest of his collaborations with Sullivan. Critics and audiences praised how well Sullivan’s witty and good-humored music complemented Gilbert’s satire. The success of “Trial by Jury” launched the famous series of 13 collaborative works between Gilbert and Sullivan that came to be known as the Savoy Operas. There will also be a post-show gala on Saturday night. Tickets for the Gala, which are $75, include VIP ticket and access to the Gala Fundraiser with enjoy food, beer, wine, silent auction items, entertainment, and dancing. Performances are scheduled for February 9 at 7:30 p.m. and February 10 at 2 and 7:30 p.m. Tickets are $23 for adults, $19 for seniors and $10 for children (ages 7-21). On February 11, the Uptown will host an Opera Tutti Cabaret event called “British Invasion.” The show is billed as “a Celtic/British/Irish/Scottish Feast of Music.” Performance time is 3 p.m. with tickets priced at $25 in advance and $30 at the door. Student tickets are $20 and $25. The weather forecast is calling for a cloudy day on Saturday with temperatures hovering around 50 degrees and that’s good news for all of us. 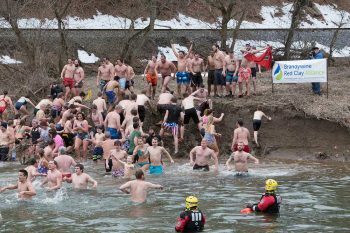 It’s especially good news for the hardy souls participating in a special charity event on February 10 – the 2018 Polar Plunge. Sponsored by the Brandywine Red Clay Alliance (http://www.brandywineredclay.org), the 10th annual staging of the Plunge will take place from 10 a.m.-1 p.m. at Brandywine Picnic Park (690 South Creek Road, West Chester). You almost definitely know people who have tattoos on their body. You also probably do not know anyone with just one tattoo on his or her body. Tattoos are like popcorn. It’s really hard to stop with just one. Tattoos have been worn since the early days of civilization. They seemingly have been around forever and they just keep getting more popular every year. It’s hard to estimate how many tattoos of the Philadelphia Eagles logo and the Lombardi Trophy have been inked around the Delaware valley this week. 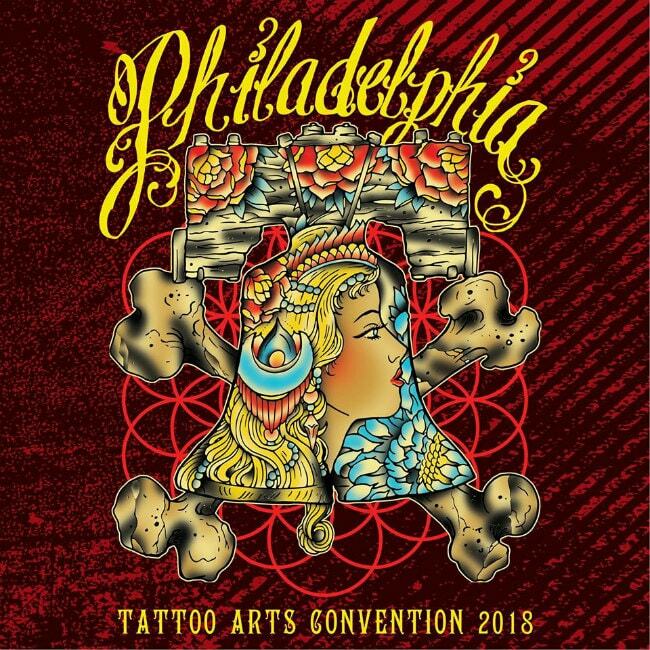 From February 9-11, the Pennsylvania Convention Center (10th and Arch streets, Philadelphia, 800- 541-8239, https://www.worldtattooevents.com/philadelphia-tattoo-arts-convention/) is hosting the Philadelphia Tattoo Arts Convention. The convention runs from 2 p.m.-midnight today, 11 a.m.-midnight on Saturday and 11 a.m.-8 p.m. on Sunday. The main focus of the convention will be hundreds of booths hosted by top-flight tattoo artists. The event features a huge roster of special guests. Other attractions include a video game tournament, free samples, raffles and kids’ activities. There will also be opportunities for show attendees to have pictures of their tattoos taken by a number of magazines. Tickets are $20 per day or $40 for a three-day pass. The celebration of the ultra-popular plant is called “Orchid Extravaganza” — an annual event that opened this year on January 20 and is continuing through March 25. On February 12, the program will be “Give Me A Fast Ship” presented by Tim McGrath. 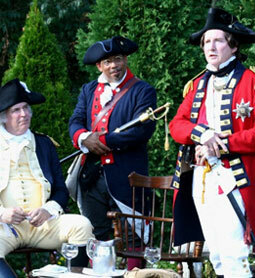 You can also get a look back at history on February 11 when Bellevue State Park presents a special event called the Cauffiel House Tour (720 Carr Road, Wilmington, Delaware, 302-761-6952, http://www.destateparks.com). 2018 is the “Year of the Dog” according to Chinese zodiac. The Dog is also associated with the Earthly Branch xū and the hours 7-9 in the evening. In the terms of yin and yang, the Dog is yang. In China, it is still popular to name dogs Wàng Cái. It means “prosperous wealth” and comes from dogs’ barking sounds. On February 10, visitors are invited to celebrate the Lunar New Year at The Franklin Institute (271 North 21st Street, Philadelphia, 215-448-1200, www.fi.edu) from 10 a.m.-3 p.m. The Franklin Institute’s highly acclaimed exhibition “Terracotta Warriors of the First Emperor” is now in its final weeks on display in Philadelphia and the US. In celebration of the upcoming Chinese New Year and before the final curtain drops on the exhibition, visitors are invited to spend the day at The Franklin Institute exploring the culture and history of China. The celebration features colorful performances by the University of Pennsylvania’s traditional Chinese dance troop. There will be various Chinese culture and crafts activities, including kite and lantern making, as well as explosive fiery demonstrations of the science behind fireworks. Additionally, 10 ten life-size clay warriors and more than 160 artifacts will tell the story of the science, craft, and culture of China’s First Emperor in the once in a lifetime exhibition. Activities for The Franklin Institute’s Lunar New Year Celebration are free with general museum admission. Access to Terracotta Warriors of the First Emperor is an additional fee. 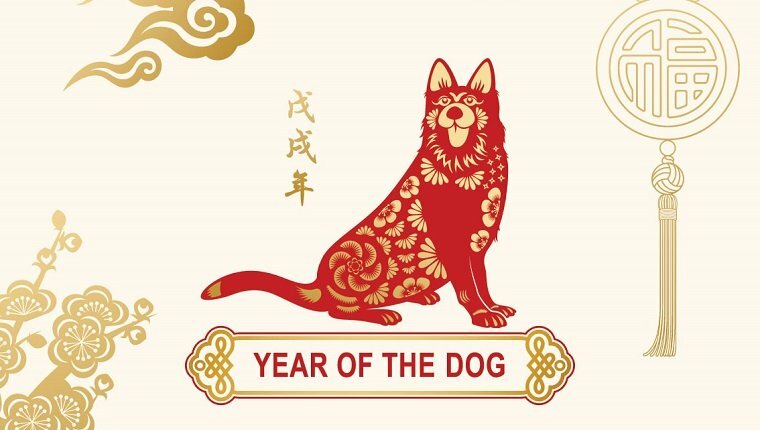 On February 15, the International House (3701 Chestnut Street, Philadelphia, 215-387-5125, ihousephilly.org) is hosting its Year of the Dog celebration. The event will include a tasting of delicious Chinese cuisine followed by a live show in the Ibrahim Theater featuring traditional Chinese music, dance and martial arts performances. Tickets for the event, which starts at 7 p.m., are $15 for adults and $8 for children (12 and under). The Garden State Discovery Museum: (2040 Springdale Road, Cherry Hill, New Jersey, 856-424-1233, www.discoverymuseum.com) is presenting a special program this weekend that is perfectly timed. On February 9, the Garden State Discovery Museum is hosting its Fourth Annual Frosty Ball. Participants can meet the museum’s cast of “Frozen” characters and enjoy a beautiful night of wintery fun. 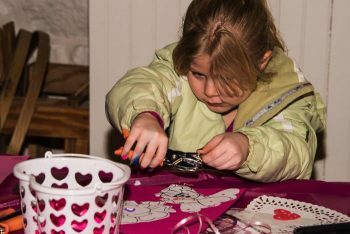 The activity for February 10 and 11 will be “A Frosty Weekend” with games, crafts and stories celebrating your valentine. Activities run from 11 a.m.-4 p.m. both days. The headline acts are 52 Pickup and The Juliano Brothers. The massive winter celebration will also feature with a variety of the area’s best DJ’s. Freezefest will support Vest-A-Cop and Delaware County Law Enforcement Memorial Fund. Tickets are $15 at the gate. Participating Chester County artists are Terry Krazmar (Kennett Square), Vidya Shyamsundar (Downingtown), Mary Ann Weselak (Unionville), Marion Mackey (West Chester), Paula Mintzer (Malvern), Sandra Severson (Honey Brook), Diane Cannon (West Chester), Wendy McClatchy (Malvern), Maria de los Morales (Paoli), Gary Altoonian (West Chester), Rachel Romano (Kimberton), Steven Schaefer (West Chester), Fiona Katarina (Phoenixville), Angela Colasanti (Uwchland), Nell Hazinski (Charlestown), Jeanne Marston (Exton), Linda Beisty (Malvern), and Victor Mordasov (West Chester). The list of county artists also includes Eugene Coggins (Malvern), Ginny Morton (Chester Springs), Lisa Lynn (Malvern), Remo (Honey Brook), Gregory Teter (West Chester), Claire Saponaro (Phoenixville), Kathryn Deaville (West Chester), Scott Foster (Downingtown), Teddi Silver (Landenburg), Donald Firth (Berwyn), Robert Siliani (West Chester), Sue Ciccone (West Chester), Eileen Gallagher (Kimberton), Jean Yoder (West Chester), Alecia Miller (Phoenixville), Luis Morales (West Chester), Jessica Teti Turgoose (Parkesburg), and Mary Holton (North Coventry). Each piece of artwork will be available for purchase and show attendees will be able to shop for items in a variety of media, including painting, sculpture, photography, ceramics, jewelry, and glasswork. There is an added incentive to purchase art at this event. A portion of the sales will benefit Malvern Retreat House. There is no Pennsylvania sales tax and 35 per cent of all artwork purchased is tax deductible. The free show runs from 10 a.m.-7 p.m. on February 9 and 10 and from 10 a.m.-4 p.m. on February 11. From February 9-11, the Greater Philadelphia Expo Center (100 Station Avenue, Oaks, 484-754-3976, www.phillyexpocenter.com) is hosting the Americana Indian Art & Jewelry Show. Show hours are 11 a.m.-8 p.m. on February 9 and 11 a.m.-7 p.m. on February 10 and 11. February is African American History Month and the National Constitution Center National Constitution Center (525 Arch Street, Independence Mall, Philadelphia, 215-409-6700, www.constitutioncenter.org) is honoring it with a number of special events and attractions that are running now through the end of February. 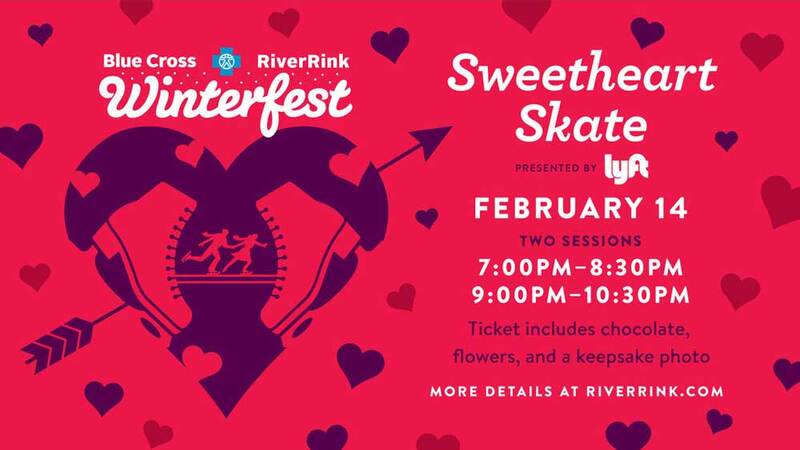 Time is running out if you want to check out a popular outdoor winter attraction in downtown Philly. America’s Garden Capital Maze at Dilworth Park (1 South 15th Street, Philadelphia, http://ccdparks.org/dilworth-park) is running now through February 25. Located on the Greenfield Lawn, the maze features vibrant plantings, topiaries, twinkling lights, and décor that showcases all of the public gardens, arboreta, and historic landscapes that are located within 30 miles of Philadelphia. A “Welcoming Gazebo” is located at the center of the maze. America’s Garden Capital Maze will be open now through February 25 – 9 a.m.-9 p.m., Monday-Thursday; 9 a.m.-11 p.m., Fridays and Saturday; 9 a.m.-8 p.m. Sunday. If you’re interested in doing home restoration and repair projects this winter, you should spend some time at the Suburban Pennsylvania Spring Home Show this weekend at the Lancaster County Convention Center (25 South Queen Street, Lancaster, www.lancasterhomeshow.com). The event, which is produced by American Consumer Shows, will open on January 8 and continue through January 10. 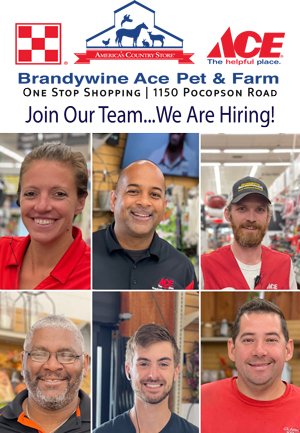 Hours are from 11 a.m.-8 p.m. on Friday, 10 a.m.-8 p.m. on Saturday and 10 a.m.-6 p.m. on Sunday. The event features free admission and parking. The show is geared for homeowners in all stages of remodeling, landscaping and decorating their homes. Visitors to the show will be able to check out new products and receive expert advice from professionals. The event’s “Kitchen Showcase” features the latest styles and trends installed by knowledgeable, professional, local contractors.